If you want to see the Dutch countryside, Amsterdam is not the place to be. But you won’t have to drive very far, the different regions of the Netherlands are never far away. 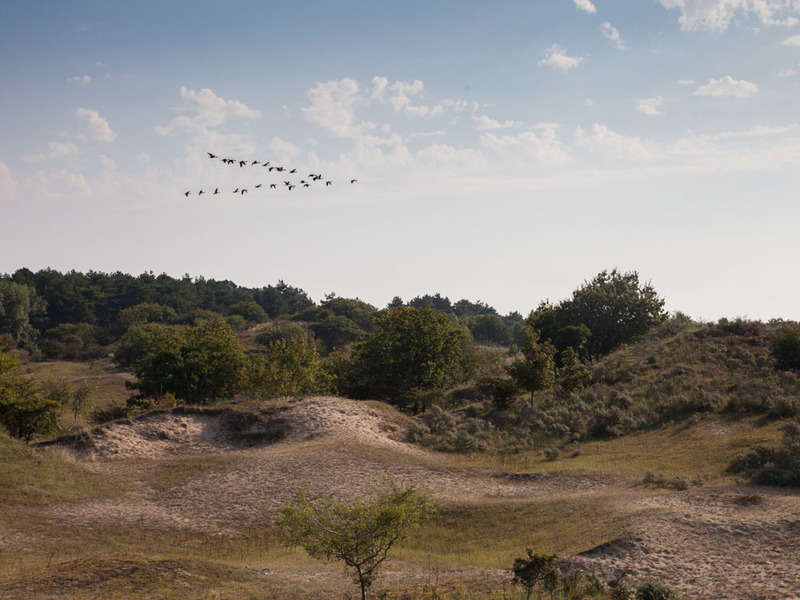 If you want to escape the busy city of Amsterdam, or if you just enjoy nature, head over to this nature reserve. Get close to the deer and see them graze in the dune grass. No, North Holland does not refer to the complete Northern part of the Netherlands. It is in fact only the north of the Western part of the country. In this area, mostly north of Amsterdam, you will find beaches in the west, and fishing villages in the east, at the shores of the IJsselmeer. In between are mainly meadows, and the Cheese city of Alkmaar. 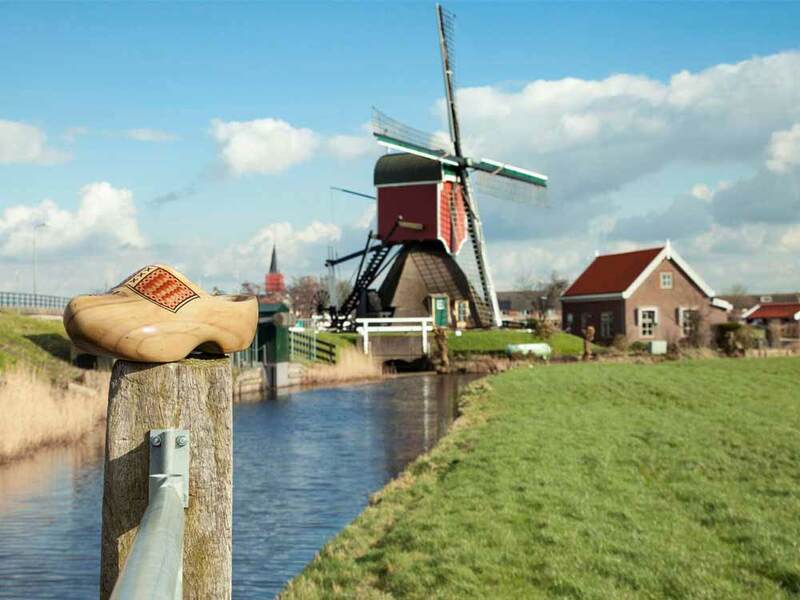 Read more about the province of North Holland in The Netherlands. The South of the Western part of the Netherlands is the region where you can find most of the windmills, together with meadows and flower fields. There are also a lot of lakes in this area, and you sure should make a trip on a boat. Seeing the countryside from the water is a must do in the Netherlands. 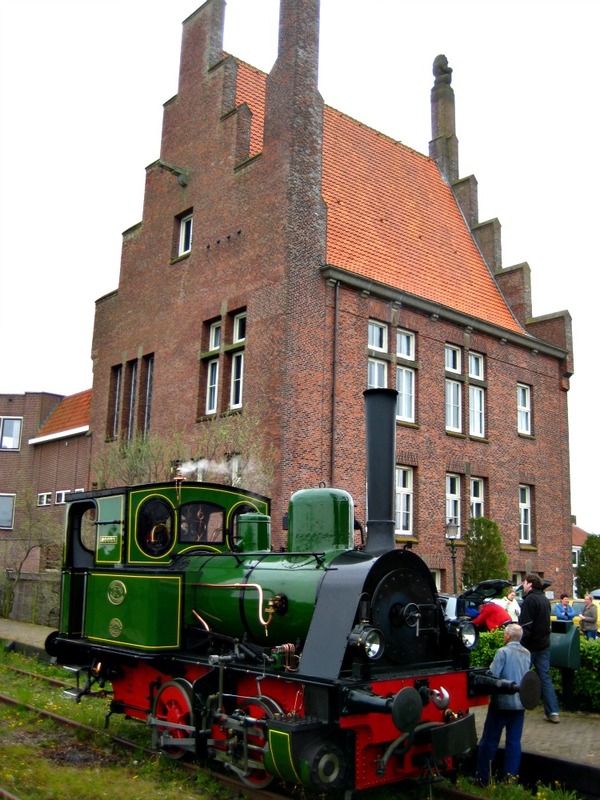 Read more about province of South Holland in The Netherlands. Crossing the famous “Afsluitdijk” which formed the IJsselmeer (which used to be the Southern See), you will reach Friesland. This region is famous for the Elfstedentocht, a tour on skates passing eleven cities. This tour can only be done in very cold winters (approximately once every 10+ years). But nowadays, people are doing the tour on skeelers, bicycles, or canoes. Needless to say, that Friesland is a region with lots of water and small, lovely old cities. A little farther to the North-East lies Groningen. With the charming city of the same name. Here you can find the seal center in Pieterburen. And the special “Waddenzee”, where you can walk on the bottom of this sea in low tide. To the south of Groningen is the province of Drenthe. Here is where you can find the “Hunnebedden” or Dolmen. These megalithic tombs date back to 7000 years ago, and are the oldest monuments in the Netherlands. Overijssel lies to the East of the IJsselmeer. Here you will find the Venice of the North in Giethoorn. But also a region called Twente. With lots of farmland cultivated by the locals who call themselves “Super Farmers”. A bit more to the south lies Gelderland, where you can find the most dense Dutch forests on the Veluwe. Many dutch people have their vacation in this area. Also in Gelderland is the River area, where the large Dutch rivers the Rijn, Maas and Waal pass by. And where you can find nice riverside cities like Nijmegen and Arnhem. Utrecht is the name of a city and the region around it. It is the center of the Netherlands, and the countryside here changes from the woods in the east to the meadows and lakes in the West. In the far South-East is Zeeland, which translates to “land of the sea”. It consists of several islands connected with big bridges. In 1953, this region was struck by a large flooding disaster. Since then, the Netherlands has put much effort in protecting the land from the sea. You can visit many sites of these large projects here. No, this region does not lie in the North of the Netherlands. But it is opposed to the region “Brabant” which lies in our southern neighbor Belgium. North Brabant lies to the south of the big rivers. It is home to the largest amusement park in the Netherlands: the Efteling. And to safari-park Beekse Bergen. And don’t miss nice cities like Breda, Den Bosch and Eindhoven. Dutch mountains? Well, not really. But Limburg in the far South of the Netherlands is the only region which comes close. The hills here are a nice change to the flat countryside in the rest of the Netherlands. And there is a lot to be seen here are well. Check out the caves near Valkenburg, and the ruïnes of a castle there. Take a ride with the steam train, and visit the beautiful city of Maastricht. Flevoland is the newest region of the Netherlands. You may have heard about the Dutch taking land from the sea. Well, this region was completely created that way. Once being part of the Soutern Sea, Flevoland now consists of meadows and farmland. And you can find nature park the Oostvaardersplassen here. A great place to spot birds and wildlife.